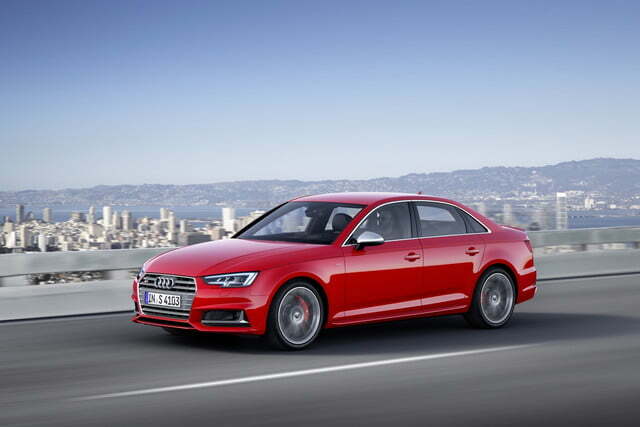 Audi unveiled the redesigned 2016 A4 well ahead of the 2015 Frankfurt Motor Show, but it waited for the show itself to reveal the good stuff: the sporty S4 sedan and S4 Avant wagon. 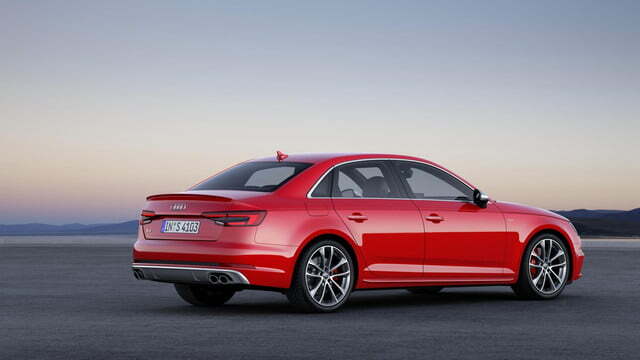 In addition to switching over to the new A4 body, the S4 gets a new engine. In place of the old 3.0-liter supercharged V6 is a 3.0-liter turbocharged V6. It’s not the most dramatic swap in car history, but it does produce results. The turbo engine produces 354 horsepower and 368 pound-feet of torque, gains of 21 hp and 43 lb-ft over the supercharged engine. 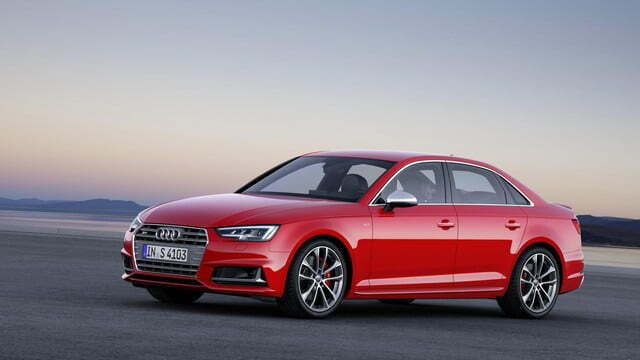 An eight-speed automatic transmission appears to be the only option, meaning the S4 is yet another victim of clutch-pedal attrition. 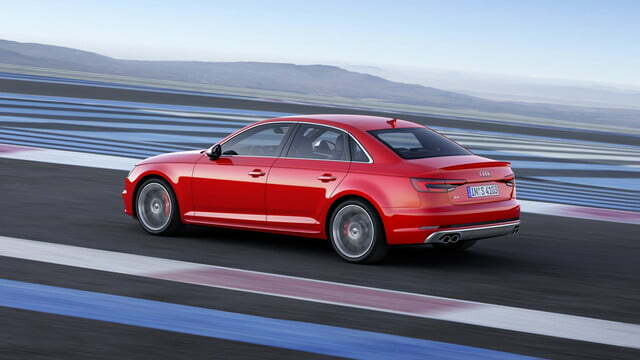 Audi says the new model will do 0 to 62 mph in 4.7 seconds, and it’s electronically limited to 155 mph. 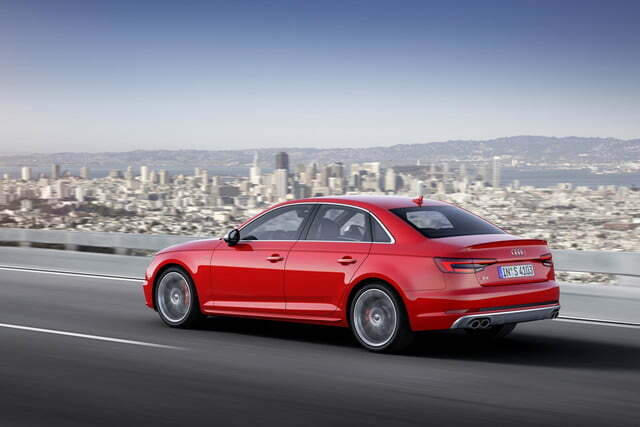 Naturally, quattro all-wheel drive is standard, with a default torque split of 40/60 front/rear. 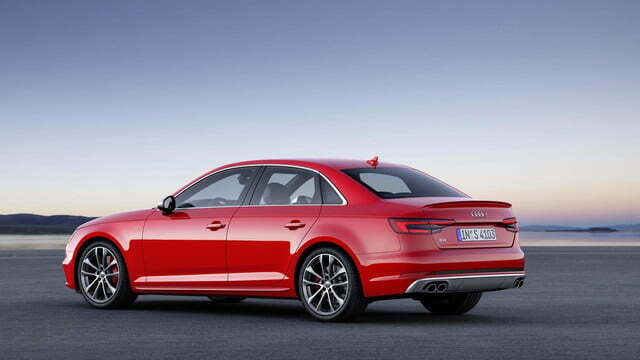 The system can also send up to 70 percent of its power to the front wheels or, alternatively, 85 percent to the rear. 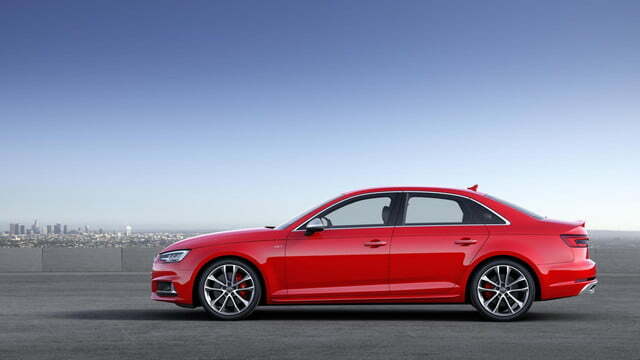 The S4’s sport suspension lowers ride height by 0.9 inch compared to the A4, and adaptive dampers are available as an option. 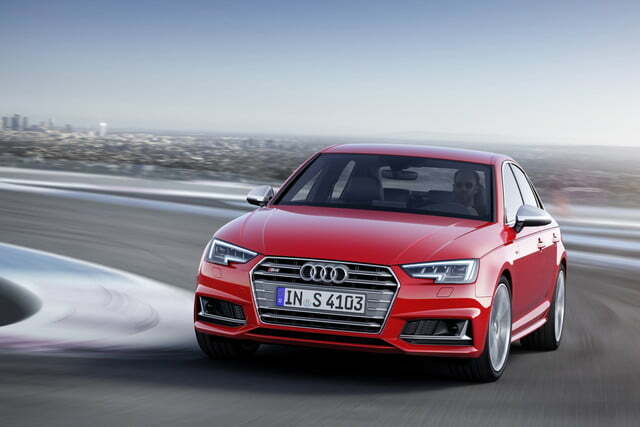 Audi calls the S4’s exterior design “understated,” and it’s not kidding. 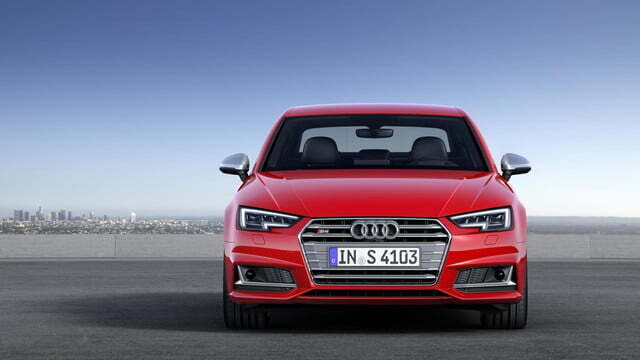 Like the base A4, the S4 appears visually similar to its predecessor, despite being somewhat larger. 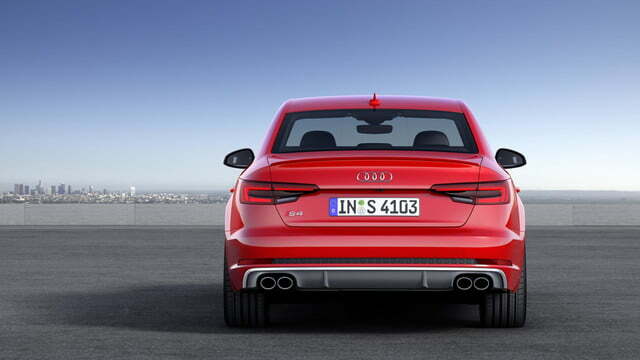 Details that distinguish an S4 from an A4 include aluminum-effect exterior mirror caps, slightly more aggressive front and rear bumpers, and model-specific 18-inch wheels. 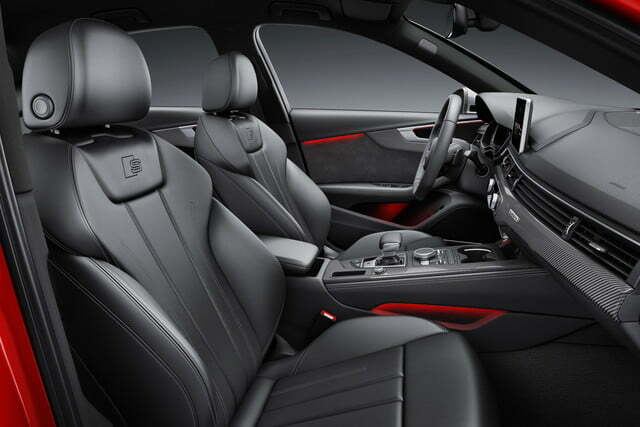 The interior features sport seats, and a color scheme that’s predominantly black with red highlights. The S4 also gets some of the same tech available on the 2017 A4, including Audi’s “virtual cockpit” display, MMI infotainment system, and an onboard Wi-Fi hotspot (in Europe, at least). An Audi “phone box” can also link smartphones to the car’s antenna, and inductive wireless is available for compatible phones, along with a tablet-based rear seat entertainment system, and Bang & Olufsen 3D sound system. 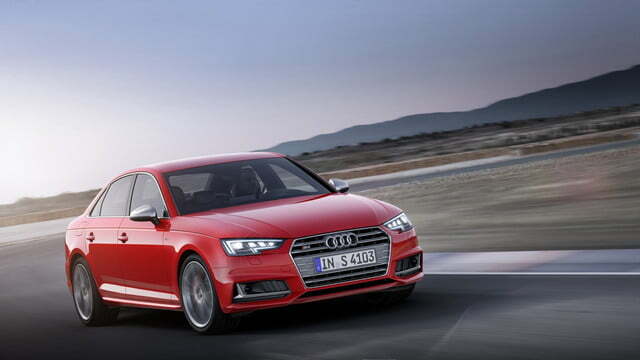 While the S4 is the kind of car that should reward an involved driver, it also features the electronic systems that create a greater margin for laziness. A traffic-jam assist can handle acceleration, braking, and steering in traffic at speeds up to 40 mph, and there are also available park assist, collision-avoidance assist, and lane-keep assist systems. 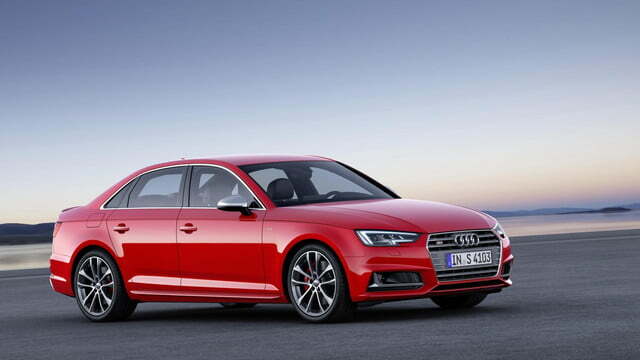 The Audi S4 sedan and S4 Avant go on sale in Europe next year, with U.S. sales of the sedan likely to follow sometime after that. The Avant probably won’t be imported here. 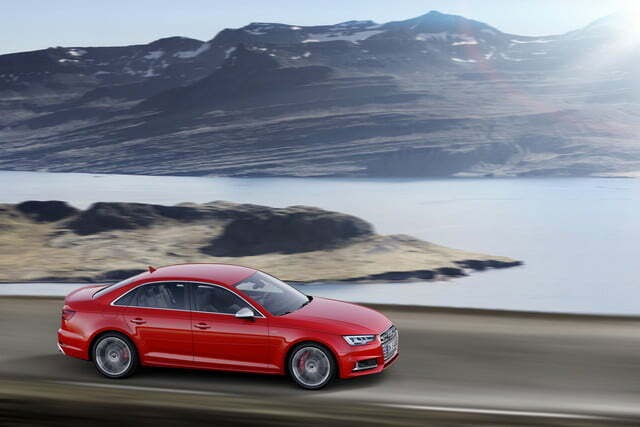 Beyond that, enthusiasts can look forward to a new, even sportier RS 4 model, which may return to the U.S. after a generation away from our shores.